Every detail of this short is made for racing: muscle support, aerodynamic fit, comfort to let you concentrate on wringing every last bit of energy from your legs, minimized weight, and leg grippers that don’t cut off blood flow to your muscles. Even the printable spaces are optimized to keep your sponsors happy. 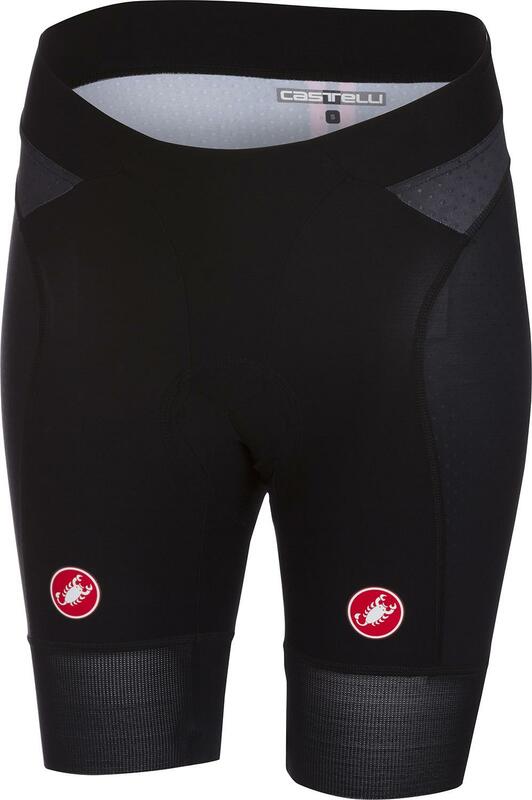 The women’s version of this short is the closest Castelli comes to a sized-down version of the men’s short. That’s intentional because this is made for women racers, with the emphasis on the racer part. It has women’s-specific fit, women’s-specific bibs and front construction, and our women’s Progetto X2 Air Donna seat pad. I know the pair is expensive for bike shorts. However, it is totally worth it if you want the real quality and comfort.